Personally, I would rather go to the dentist than update my resume. Of course I have a great dentist, but still, I have always found it difficult to summarize everything that I can offer in two pages or less. This began a quest to figure out the “perfect” resume and what I have found is that there is no single perfect resume. So what’s the point? Why do we even have a resume? Well if the ultimate goal is to get hired then you have to start somewhere. 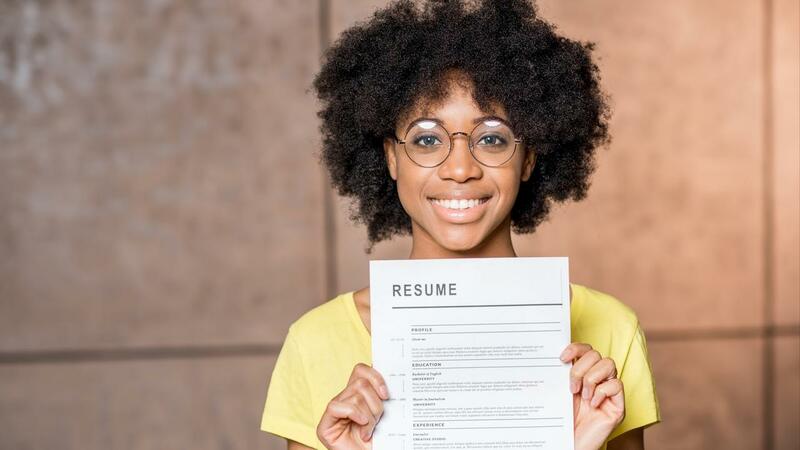 Most of us don’t actually update our resume, or even think about our resume, until we are considering a job change (whether that is our choice or someone else’s doing). We believe that a resume is supposed to get us a job, but that is not exactly true. How many people have sent in a resume and then immediately received a job offer? I would imagine that number is quite low. Each step you take, including submitting a resume, is only meant to get you to the next step towards that job. Simply put, a resume is to get you noticed. Great! Now we’re cooking with gas. But, hold on. Who are you trying to get to notice you? Who will see your resume and make the decision to move your racecar forward or send you directly to resume jail and not collect $200 (and to start all over again with a new company)? Are you submitting your resume to a medium / large company directly through their website (or outside career page) where it will go into a large system with 25 – 2500 other resumes? Or, are you submitting it directly to an HR email address in a smaller company? Maybe you are sending your resume directly to the person who will be making the hiring decision (which is actually the shortest route, if you can find it). Let’s reverse engineer this task. You want to get a job. The Manager who has the job wants to hire the person who will do the most for the company with the least amount of drama – in short, a great employee. So, how do you prove to each decision maker along the way that you will be that great employee and that they should move you forward? Last step – you convince the hiring manager and their interview team that you have the skills that it takes to do this job (they usually list this part out in the job description), that you’ll be a great team mate and that they can afford you (more on salary in a future blog). The hiring manager needs to know that you will be a problem solver. Next to last step – you are able to articulate via a phone interview that you know your stuff, that you will be a great team mate and that you don’t have exorbitant salary expectations. They have problems because this role is not filled and hopefully you are the person to fill this role and solve those problems. 3rd to last step – Your resume and perhaps a summary make their way to the hiring manager through one of several channels. Typically it is 1) Forwarded by HR (okay), 2) Submitted by an outside recruiting agency (okay), 3) Forwarded by a colleague (better), 4) Sent directly by you (best). Whatever is on your resume and summary need to be compelling enough to make the manager want to speak with you. 4th to last step – Your resume and correspondence need to convince this person to move you forward and have that next conversation. To do this, regardless of who is putting you forward, will require some homework and due diligence on your part. You want to have as much understanding about the company and the environment as possible. How much do you want this job? Well, that’s how much effort you should put into this step. What do you know about the company and the work of this team? What are their problems and how can you contribute toward solutions? What are your skills / experience and how closely do they match what the company is asking for in the job description? The more clearly you draw the lines on your resume to match the requirements, the more likely it will be that you will be moved forward. Now, the more general the role that this “forwarding person” holds might be an indication how in-depth their knowledge is on any given topic. Maybe. I know many corporate recruiters who hold a degree in Computer Science. They probably got into recruiting because they also had people skills and a desire to bring great talent to companies (or a penchant for hitting their head against a wall). It’s still a good practice to highlight your experience as it applies to each role you are pursuing. And, as you can expect, there are as many ways of doing this as there are different job descriptions. This is why I always believe that you should never follow absolute rules, sometimes. Take some time to understand what makes a great employee for this role, for this manager and for this company. It isn’t just a list of skills, though that’s a good place to start. What are the “best practices” of your field? How are you as a team mate? Are you reliable? Will you go the extra mile (without being an overbearing, needy, management nightmare)? Ask your current manager how they make their hiring decisions. Ask past managers. Best of all, ask the manager of a job that you want next. If you can figure that out, you’ll be light years ahead of your competition. Most of all, learn how to articulate what it is that you do well. Even if you are the best at what you do, unless someone has seen you in action, you’re going to have to tell them about it. Taking all of this into consideration, there are several mistakes that are likely to get your resume tossed out. Because I promised you 10 things, I’ll give you the Top 10 Things Likely To Get Your Resume Tossed Out. You can check those out on my Candidate Whisperer blog. So, go out there and conquer your world. Share a smile and hope it goes viral. Oprah says that “Luck is preparation meeting opportunity”, so get prepared and best of luck in your search. Linda Marak (aka the Candidate Whisperer) is a corporate recruiter in Silicon Valley. She has worked on thousands job openings and seen too many good people be passed over for small mistakes that take them out of consideration. There is a lot of competition for the best jobs so Linda is developing processes and procedures to help candidates put their best foot forward (or at least to stop tripping over their shoelaces). So, if you’re ready, tie your shoes and sharpen your skills to get Your Next Best Job. Connect with her on LinkedIn or Facebook and sign up at her blog Candidate Whisperer. For the newly graduated (or soon to graduate), check out Your First Best Job. Learn how to be more proactive, avoid major pitfalls, figure out which jobs and companies to pursue and get your career started on a solid foundation.